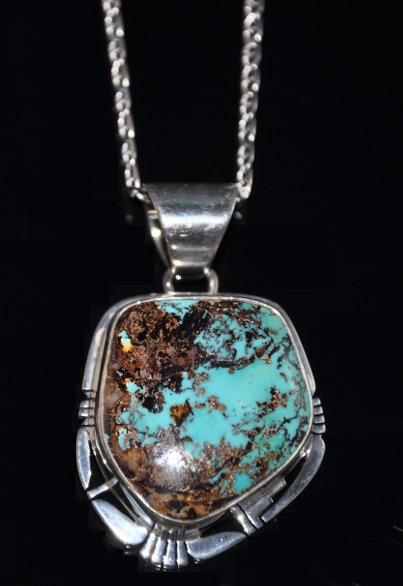 uniquely beautiful appearance and its rarity. 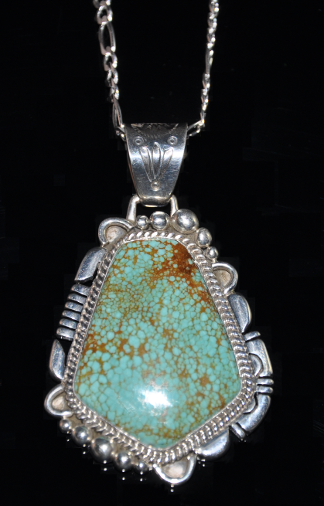 Sterling Silver Turquoise Kokopelli Necklace. 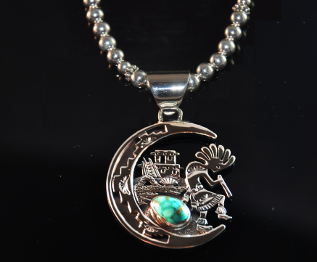 Kokopelli represents the spirit of music. 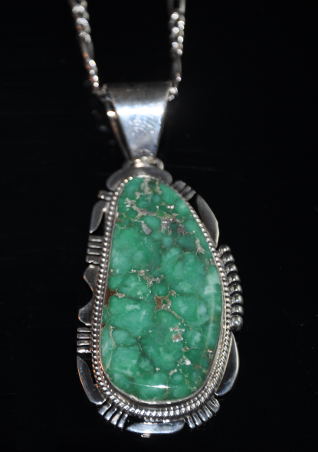 This beautiful green stone typically contains black or brown spiderwebbing in the matrix. 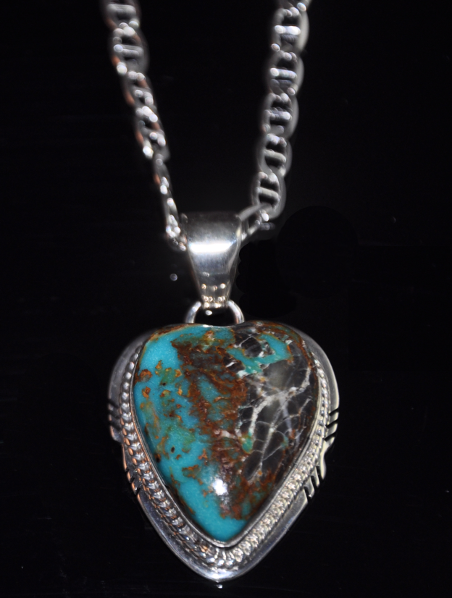 rare and valuable in finer grades. 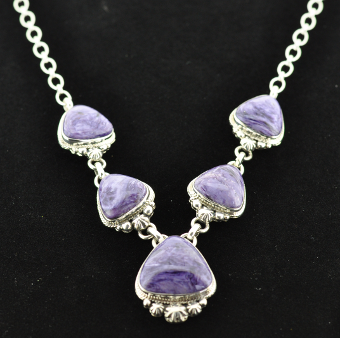 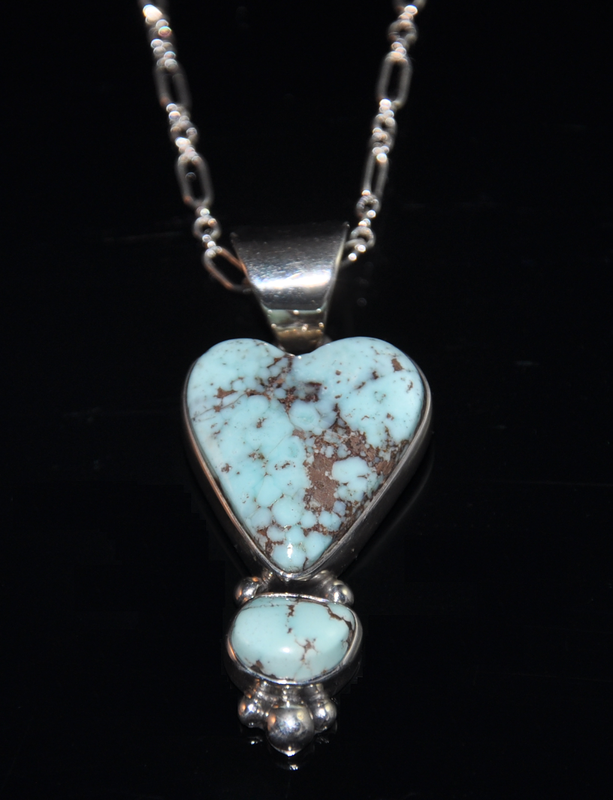 Sunnyside Single Stone Heart Necklace. 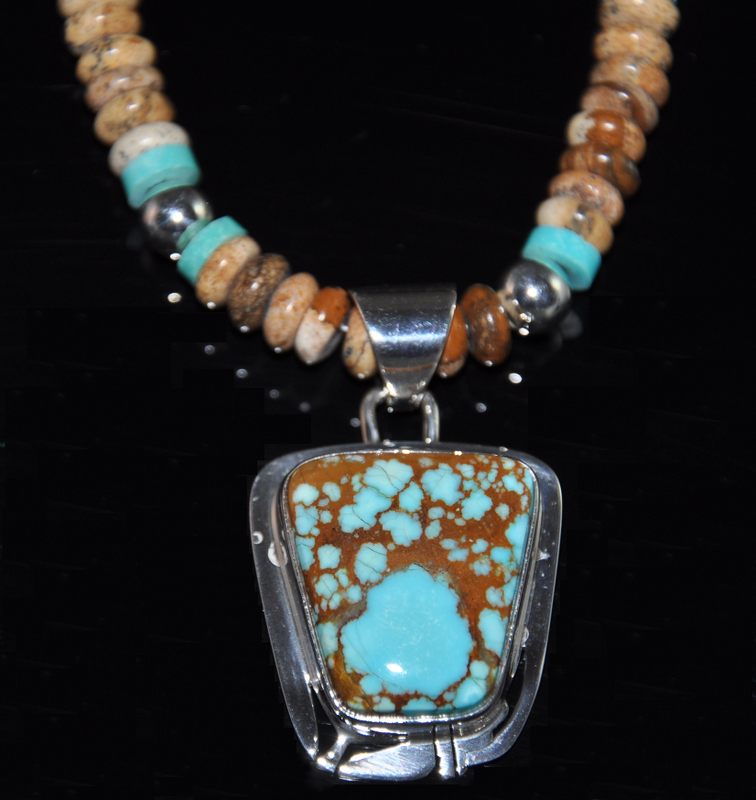 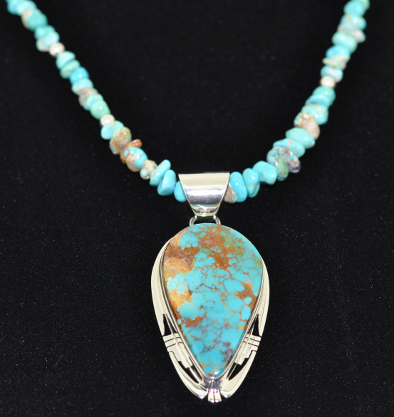 created using Dry Creek Turquoise. 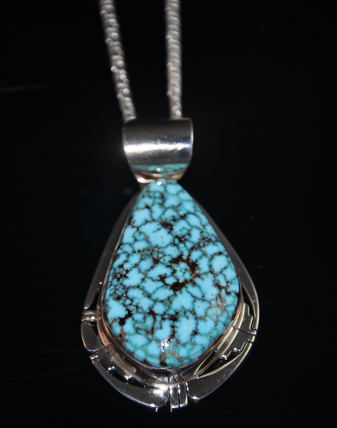 Lovely #8 Turquoise with cut sides design. 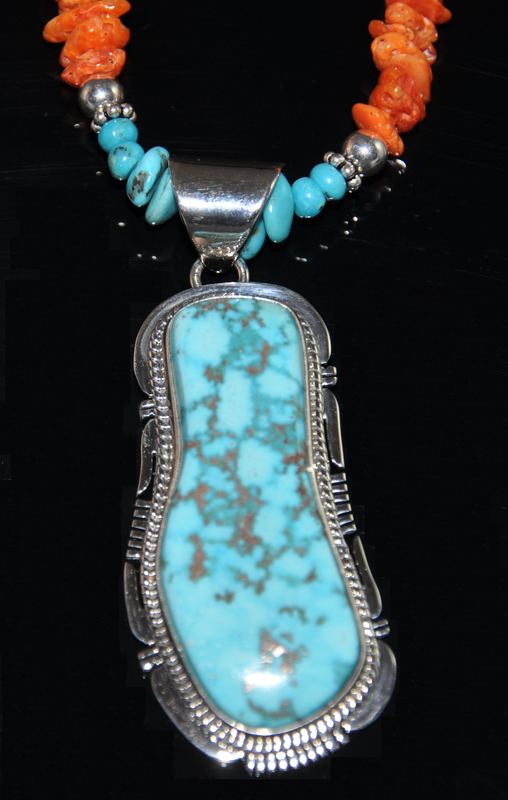 created using high grade Kingman Turquoise. 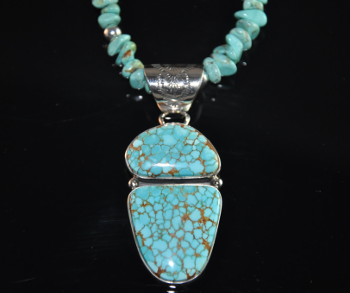 #8 Turquoise Single Stone Necklace.